"We have heard the Christmas story so many times that Christmas pageants can seem a little stale at times. This skit is designed to make the Christmas story come alive again, but with a twist—each evangelist (Matthew, Mark, Luke and John) tells his version of the story, adding his unique “take” on events to the mix. Through their joint efforts (and sometimes humorous disagreements), the evangelists address the big questions of the season in a light-hearted way that gives the viewers a crash course in Biblical literacy. 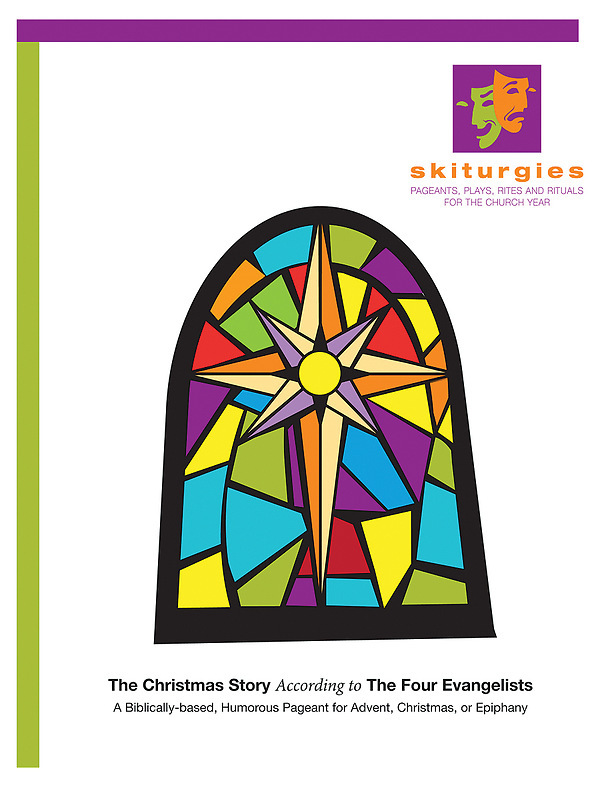 Congregations will come away laughing, but also knowing more about the Christmas story and the way it was written. This pageant is intended to be a relatively simple production, with minimal rehearsal time for most characters. It also aims to provide roles for the littlest children in the congregation all the way to the oldest teens or adults. The only speaking roles are those of the Evangelists, who, because of the complexity of the script and the humor should be played by older teens or adults. All the other roles are non-speaking parts—kids simply walk on and form a living nativity tableau. There is a point in the pageant where the gospel for Epiphany is read. Your congregation’s deacon (if you have one) can take this role, or it can be assigned as a character. Thus, this pageant can take place in the midst of a service, with the Gospel reading included so that the presentation encompasses the Gospel as well as sermon-time. Cast: there are four speaking parts and other cast which includes typical Christmas pageant characters, including shepherds, angels, and animals. Kristin Agudelo is a high school history teacher and writer. She has degrees in religion and anthropology, and served as Christian Formation Director at St. Paul’s Episcopal Church in Brunswick, Maine for six years.